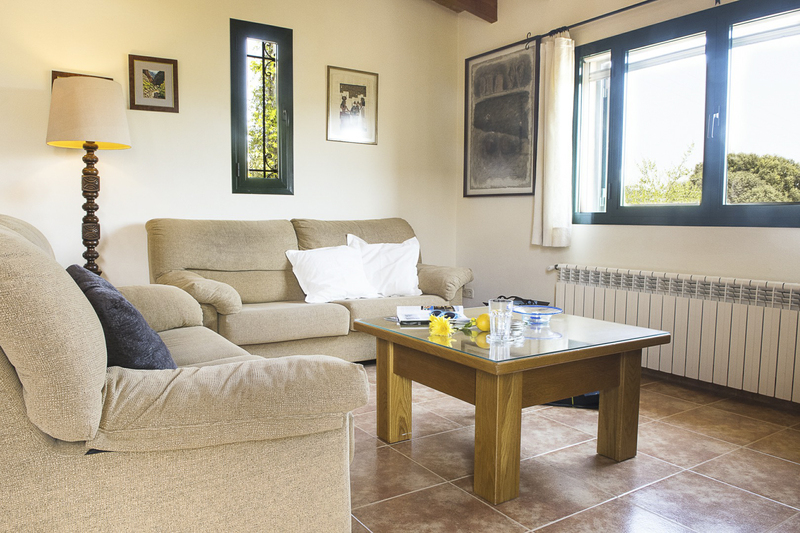 Villa Poliana is a beautiful, traditional holiday home in Majorca that overlooks the golf course, Pula as well as benefitting from the beautiful nearby views of the mountains. This villa not only offers you magnificent views, but it’s also near the beach so you’ll have access to a fun day out with your guests, without having to travel far. Inside this holiday home, the rooms are spread over two floors, but the exposed beams and the neutral walls go through the entire property tying every room together adding to the traditional feeling given off by the home. You’ll find that relaxing in this serene villa will be a natural part of your holiday agenda. 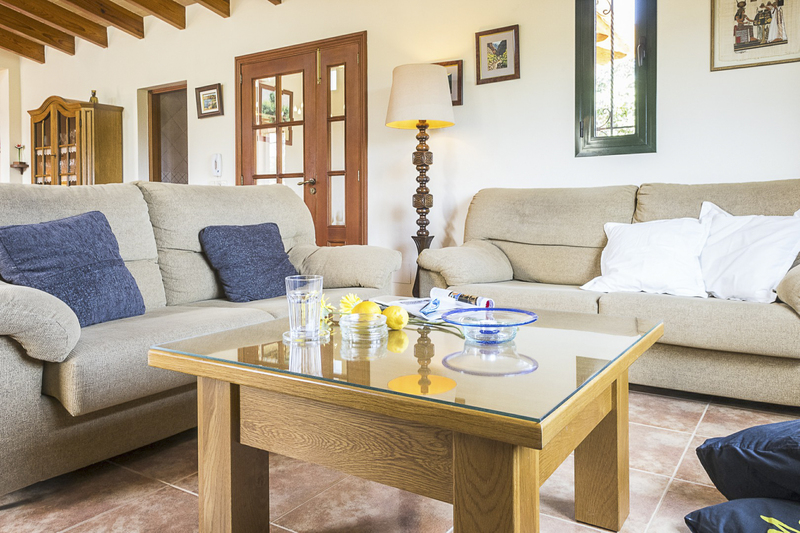 It has a traditional décor and furnishings, which is to say that the interior of this villa is a tasteful mix of modern necessities with Majorcan style. 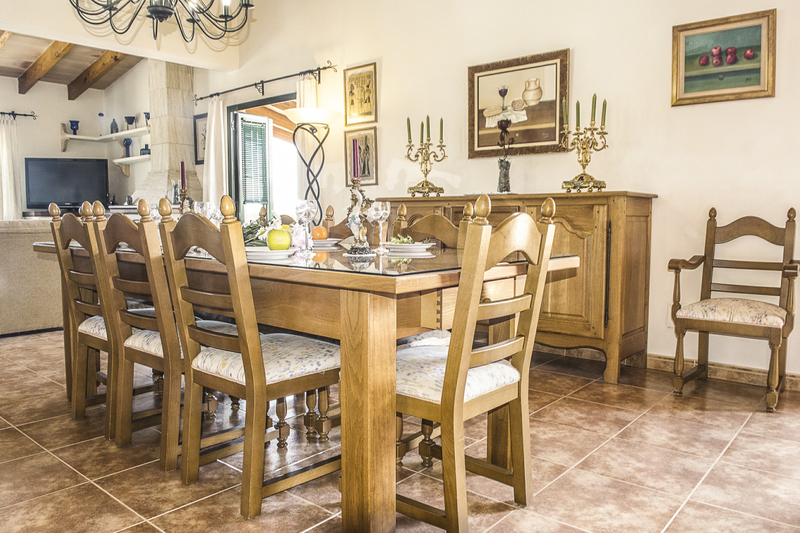 The living/dining room will seat a larger group so you can gather around the gorgeous dining table and enjoy a meal together, or perhaps you want to sit outside in which case there is patio furniture at your disposal. 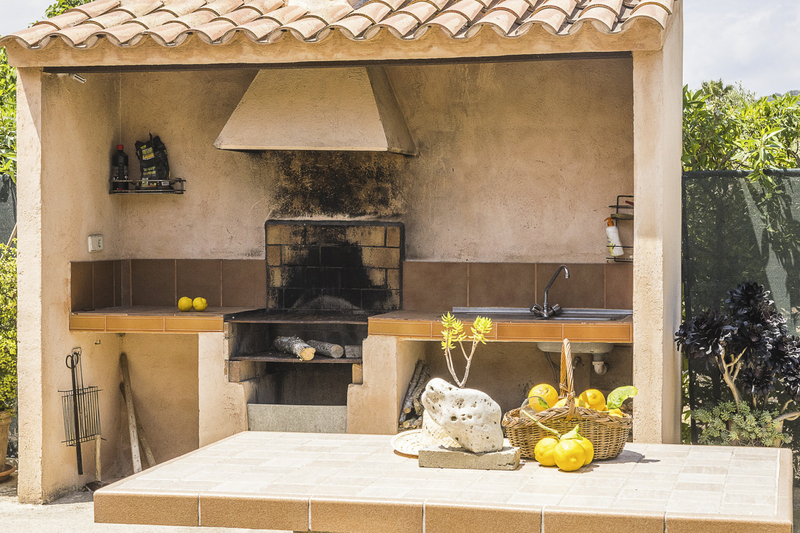 If this is your style, you may also enjoy the outside barbeque. Whether you want to relax under the shade with delicious food or have a barbeque by the water – you’re in luck because you have a private pool with loungers for sunbathing. The garden and surrounding area have plants and fruit trees, which add to the unique and quiet atmosphere of this villa. 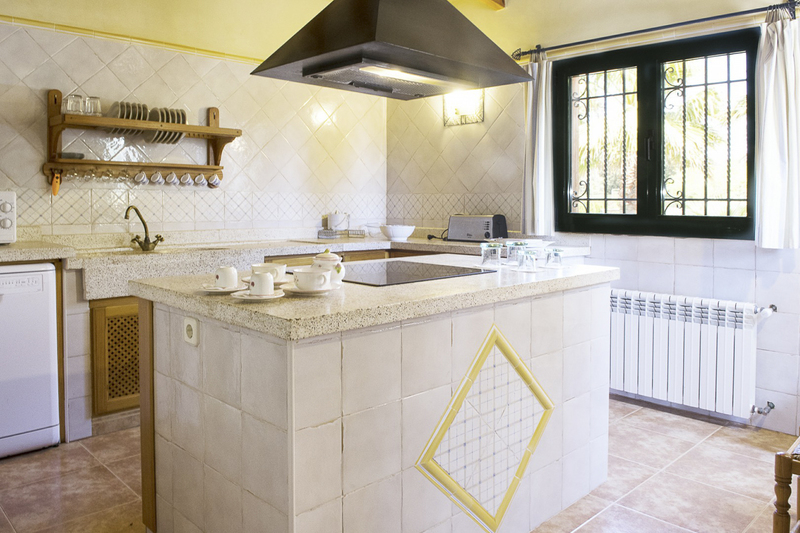 The rustic kitchen is equipped with all the necessary appliances, so you’ll find making food in the villa won’t be a hassle. 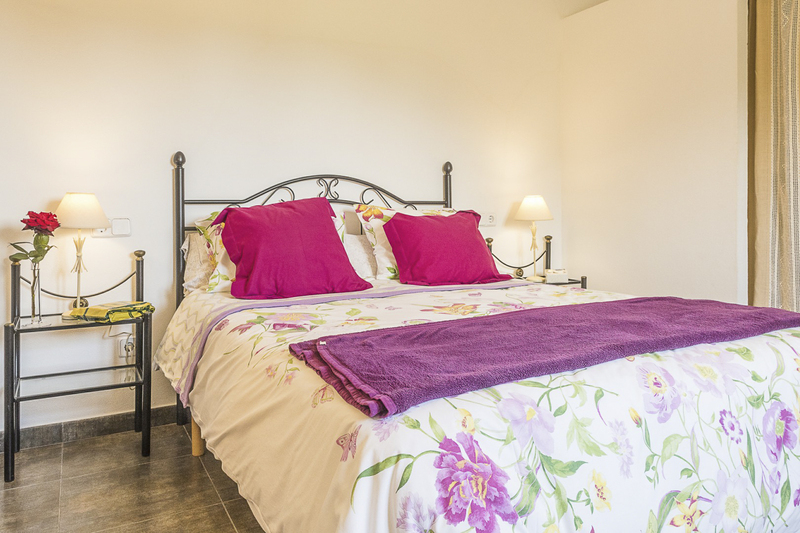 The bedrooms are spacious and comfortable, with a mixture of double beds and twin bed setups which offer flexibility for families using this villa. 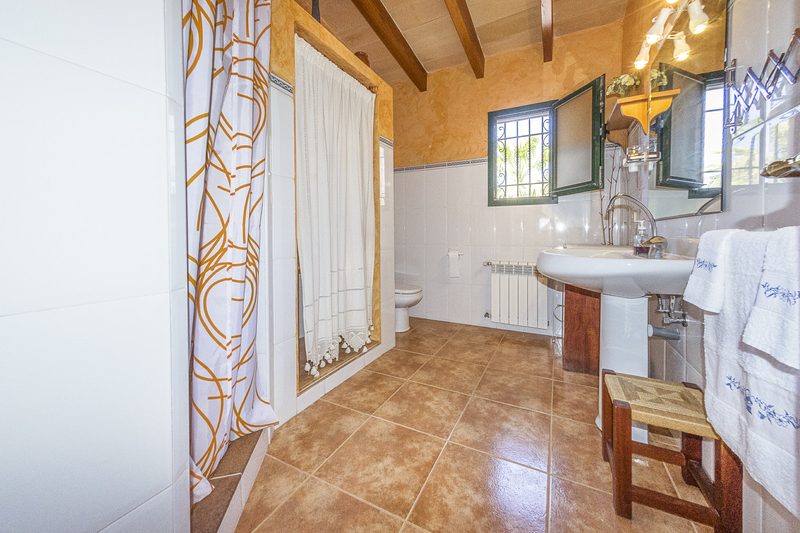 One room has an ensuite with a shower, and then there are two other bathrooms in the property with a mix of bath and shower facilities. 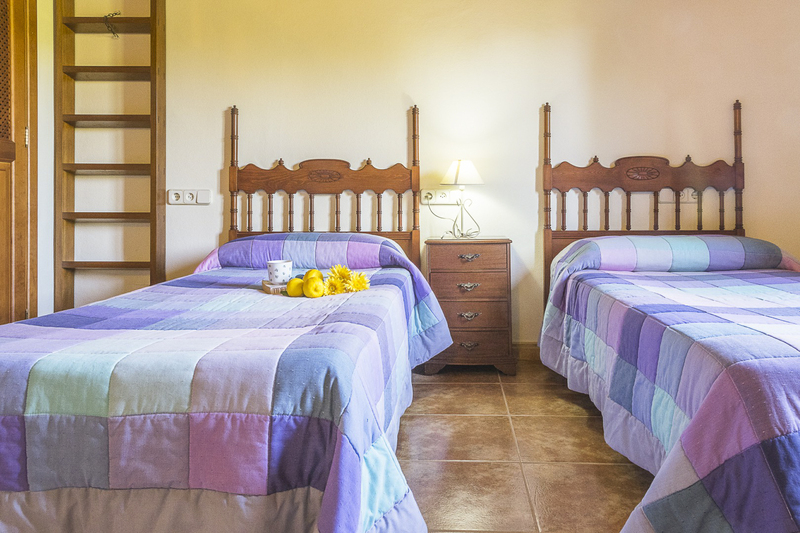 The rooms are clean and straightforward, because of this the property radiates a calm and serene atmosphere. 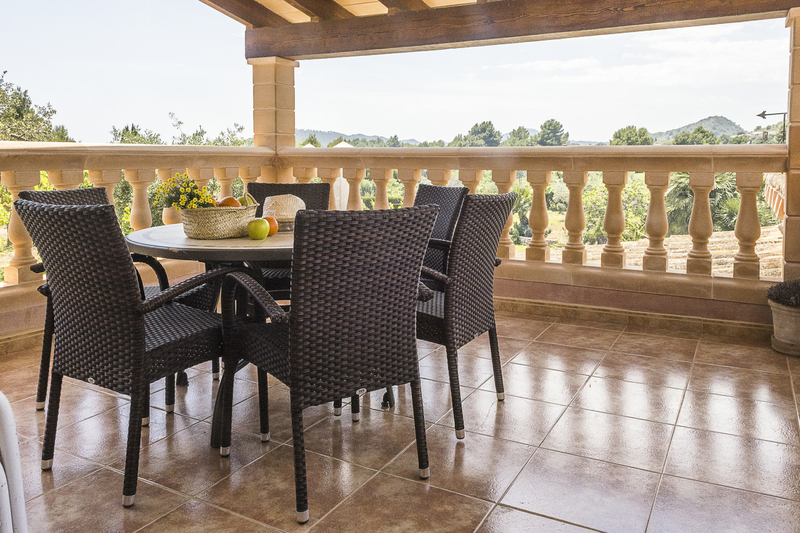 Cala d'Or is family friendly with beaches, shops, restaurants and cafes aplenty. 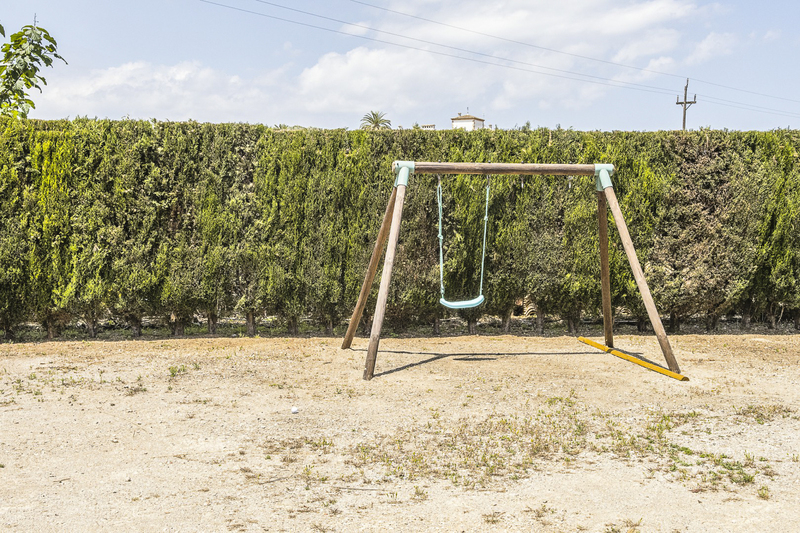 You’ll find that planning a family fun-filled day won’t be a struggle in this corner of Majorca. And although it is most popular with families, restaurants and bars in the area will also cover the nightlife you may want to live music. There are various water sports to partake in along the beaches, a golf course nearby, and boat trips to take you to the many coves along the coastline. You’ll find plenty of places to explore and walk whether it’s an established trail or walking through the beautiful nearby towns. Whatever you want to fill your holiday with, be it shopping, relaxing or visiting various attractions Majorca has to offer, you’ll find ample opportunities to quench any thirst. Simply fill in the concierge request form or contact the Excellence Luxury Villas Concierge Team.